Today, I'm glad to announce our 2nd giant giveaway, also sponsored by NVIDIA, with the grand prize of the T-Mobile LG G-Slate 3D tablet with a street price of $750-800 (Amazon $800, T-Mobile $750). 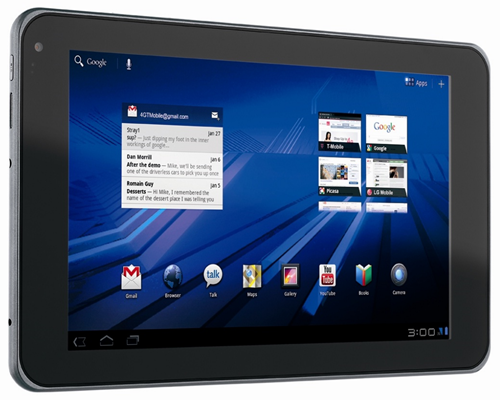 This tablet packs even more features than the XOOM and has 3G/4G connectivity built-in. and, of course, Android 3.0 "Honeycomb"
Note: This prize does NOT come with a data plan of any sort - if you want to hook it up to T-Mobile, it is your responsibility; otherwise, feel free to use its Wi-Fi capabilities. 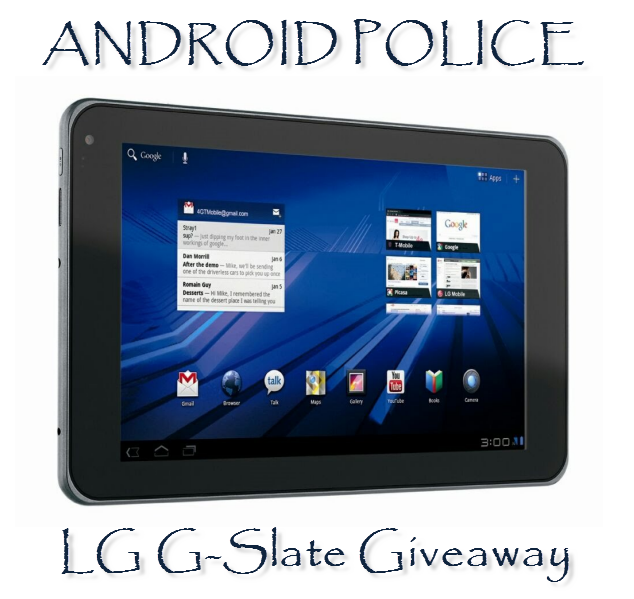 More great prizes are coming up shortly, so be sure to keep following Android Police on Twitter, Facebook, and RSS. 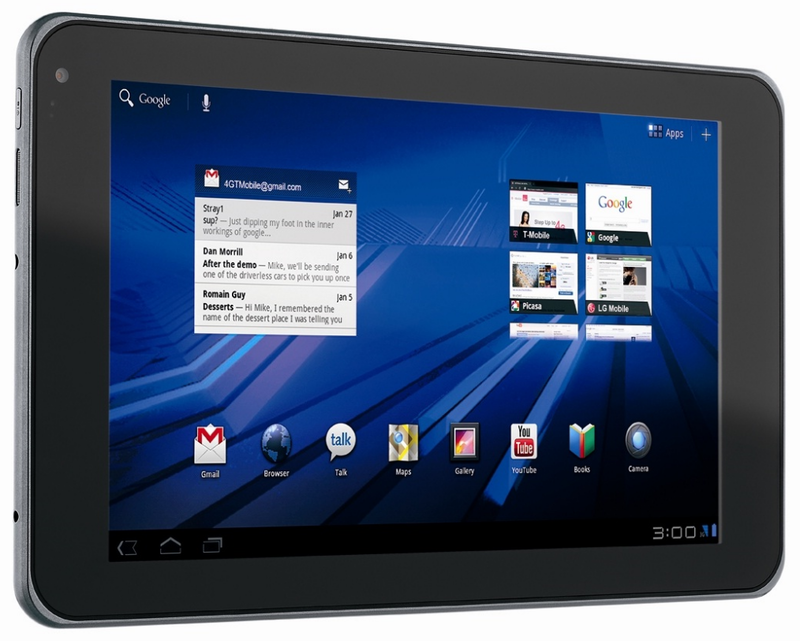 1 brand new T-Mobile LG G-Slate 4G/3D tablet, courtesy of NVIDIA and Android Police. That's it - there are no other steps this time around. Very easy, just like last time. The giveaway starts immediately and runs until June 3rd, 11:59PM PST. It is open to residents of the countries specified in the detailed terms and conditions below (not just U.S. - check the list to see if your country is there). Note: After careful consideration, we've added Malaysia, India, and South Africa to the list of eligible countries and removed Argentina (due to extremely high import duties). ANDROIDPOLICE.COM, A CALIFORNIA SOLE PROPRIETORSHIP (referred to herein as “Contest Provider”) IS THE PROVIDER OF THIS CONTEST. THIS CONTEST IS OPEN ONLY TO RESIDENTS OF THE UNITED STATES, CANADA, MEXICO, CHILE, AUSTRALIA, NEW ZEALAND, SINGAPORE, INDIA, FRANCE, BELGIUM, THE UNITED KINGDOM, LUXEMBOURG, GERMANY, AUSTRIA, SWITZERLAND, SWEDEN, FINLAND, DENMARK, NORWAY, SPAIN, IRELAND, RUSSIA, THE NETHERLANDS, SOUTH KOREA, SOUTH AFRICA, TAIWAN, MALAYSIA, THE PEOPLE'S REPUBLIC OF CHINA, THE CZECH REPUBLIC, CROATIA, THE UKRAINE, POLAND, BULGARIA, AND HUNGARY WHICH ARE: (i) OVER THE AGE OF MAJORITY IN THEIR COUNTRY OF RESIDENCE ON THE DATE REFERENCED BELOW AS THE START DATE FOR THE CONTEST; AND (ii) WHO ARE NOT RESIDENTS OF THE STATE OF RHODE ISLAND IN THE UNITED STATES; THE PROVINCE OF QUEBEC, CANADA; OR RESIDENTS OF THE AUSTRALIAN STATES OF VICTORIA, QUEENSLAND OR THE AUSTRALIAN CAPITAL TERRITORY ("ENTRANTS"). If you are under the legal age of majority in your country of residence, but are (i) over the age of 13 years of age and a resident of the United States of America, or a member country of the European Union other than Spain, or the United Kingdom; (ii) who is least 14 years of age and a resident of Spain, the United Kingdom, or Russia; or (iii) who is at least 15 years of age and is a resident of the Republic of Korea; one of your parents or legal guardians must submit a signed, written statement that they have read, understood and agree to these Contest rules with your entry, and that such agreement constitutes acceptance of these Contest rules on behalf of you and themselves. Residents of the State of Rhode Island in the United States, the Province of Quebec in Canada, or Queensland, Victoria, or the Australian Capital Territory in Australia are ineligible for participation in this Contest. All applicable federal, state and local laws and regulations apply. There is no cost to enter or win. Offer void where prohibited. The Contest begins May 20th, 2011 at 1:00 Pacific Time and will continue until June 3rd, 2011 at 11:59PM Pacific Time (the "Deadline"). All entries must be received before the Deadline to be eligible to win the Prize. One (1) eligible entrant will be chosen by the Contest Provider as the “Winner,” and will receive the “Prize,” one (1) LG “G-SLATE” tablet computing device, estimated retail value $749.99-799.99. No substitutions or exchanges, cash or otherwise, will be allowed. Prize is not transferable.